Reuters watched the verdict through an online broadcast by Courtroom View Network. The jury also found in favor of talc supplier Imerys Talc. “Johnson’s Baby Powder has been around since 1894 and it does not contain asbestos or cause mesothelioma or ovarian cancer,” J&J said. Chris Panatier, Herford’s lawyer, in an email cautioned against reading too much into a single verdict. “It is a matter of time before juries begin holding them to account,” he said. The verdict came as a federal jury, separately, ordered J&J to pay $247 million to six patients who said they were injured by defective Pinnacle hip implants. Herford’s lawyers contended that internal J&J documents showed the New Jersey-based company for decades was aware of the presence of asbestos in the talc that was used in its products but kept selling them anyway. 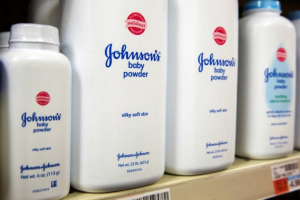 J&J faces lawsuits by around 5,500 plaintiffs nationally asserting talc-related claims, largely based on claims it failed to warn women about the risk of developing ovarian cancer from the products. In five trials in Missouri involving ovarian cancer lawsuits, juries found J&J liable four times and awarded the plaintiffs $307 million. In California, a jury awarded a now-deceased woman $417 million. But in October, J&J scored major victories when a Missouri appellate court threw out the first verdict there for $72 million and a California judge tossed the $417 million verdict. The case is Herford et al v. AT&T Corp et al, Los Angeles Superior Court, No. BC646315.